This beautiful bar is inspired by the rolling blue hills of the Hill Country visible out our shop windows. 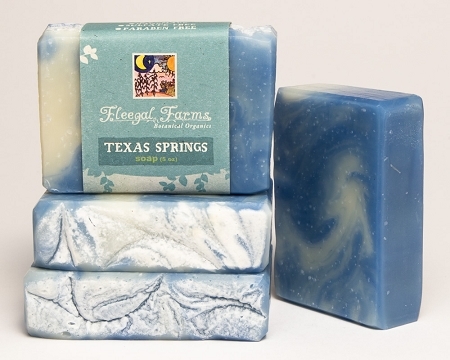 We added lavender, Texas cedar, and cypress essential oils, all which grow in central Texas. (Don't worry, no pollen added!) This combination is earthy and soothing. 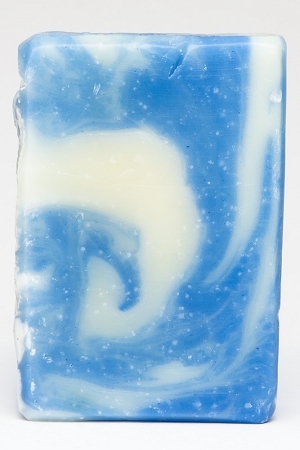 INGREDIENTS: filtered rain water, saponified oils of olive (olea europaea), coconut (cocos nucifera), and palm (elaeisguineensis), essential oils of lavender (lavandula angustifolia), Texas cedar (juniperus ashei) and cypress (cupressus sempervirens), and and natural mineral pigments (ultramarine blue).